The variety of ways in which our mornings differ really amuses me. Your mornings and my mornings, I mean. For instance, my kids generally wake up around 9am, but sometimes one is up by 8:30am and the other sleeps until 11am. We eat breakfast around lunchtime. Really. There are many times that I’ve been cooking eggs at 11:45 am, wondering if perhaps I should actually be heating up leftovers for lunch. Meanwhile, Amy’s little girl eats breakfast by 6:30am. Then, they want to come visit at 8am, and I’m like, “Are you serious? We’ll all be asleep!” I love the slow mornings. I just also love breakfast, so I make it happen. So, what do I make when it’s 11am and my kids are finally ready to eat? Their favorite breakfast is a bowl of oatmeal with fruit, but we also make eggs and toast, fruit and yogurt, breakfast smoothies, and once in a while, pancakes. 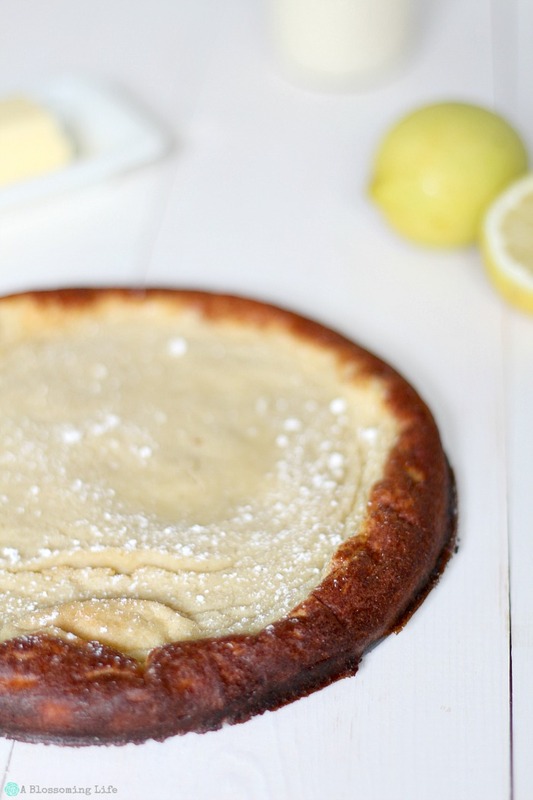 Awhile ago, I made a Dutch Baby Pancake and transported it to Amy’s house for us all to share. That was a noon breakfast kind of day. If you have kids, I bet you understand. 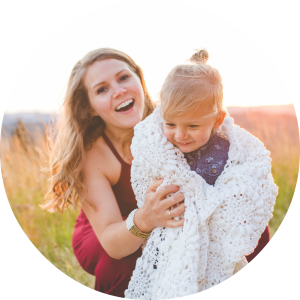 If you don’t have kids, I don’t even know what you will think of my schedule, but I was there once, too. One day, I’ll implement an earlier routine, but at this time in our lives, this is what works for us. 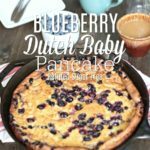 So, a Dutch Baby is a fluffy, custard-like breakfast dish that can relate to pancakes and crepes, which are all basically dessert. I love dessert for breakfast. However, starting the day off with dessert really gets some people feeling all behind. High calories, low nutrition, the impending crash of a sugar high… I understand those things, so this recipe is my attempt at redeeming the breakfast dessert. You’ll notice that I’m not using refined sugar or dairy products, and the result is a breakfast dish that boasts a hint of sweetness and pairs very naturally with a quality maple syrup or honey. A fluffy, custard-like breakfast dish that easily adapts to your choice of fruit or flavor. Split the coconut oil between two, 10-inch, cast iron skillets (or use one 9x13 baking dish), then place them inside the oven to melt the oil. Mix flour & salt, then add the coconut milk, eggs, honey, and vanilla and combine in a bowl or stand mixer. 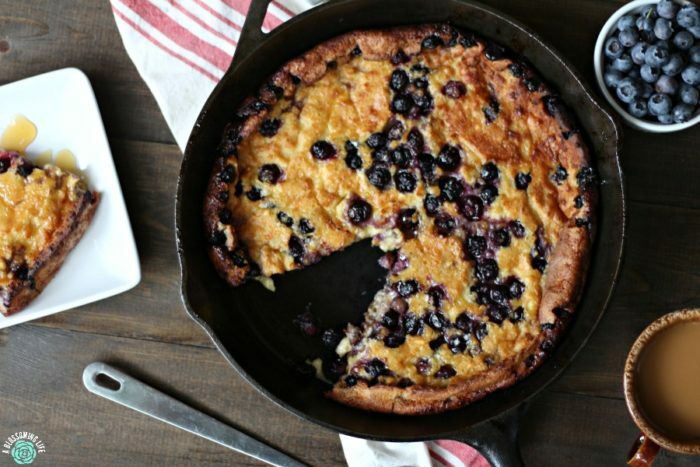 Remove your cast iron from the oven and add the blueberries directly into the skillets. 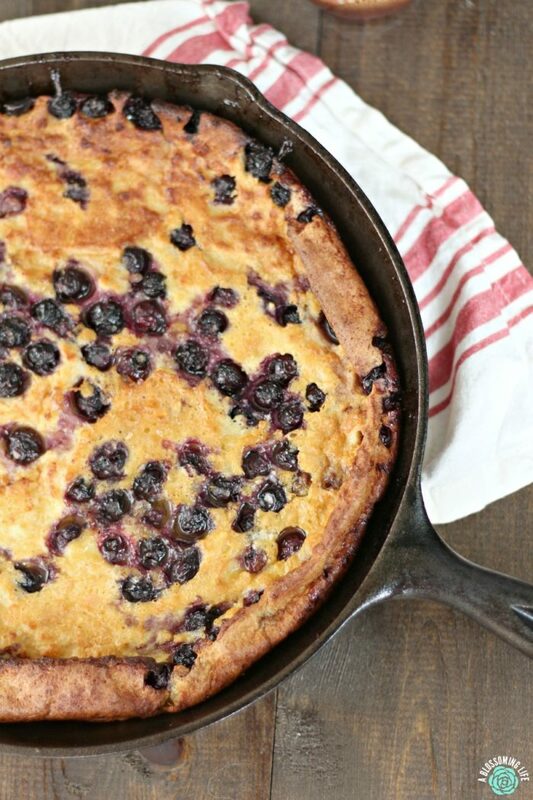 Pour your batter evenly into each skillet, over the blueberries, and return the cast iron to the oven. Bake for approximately 20 minutes, or until golden on top. 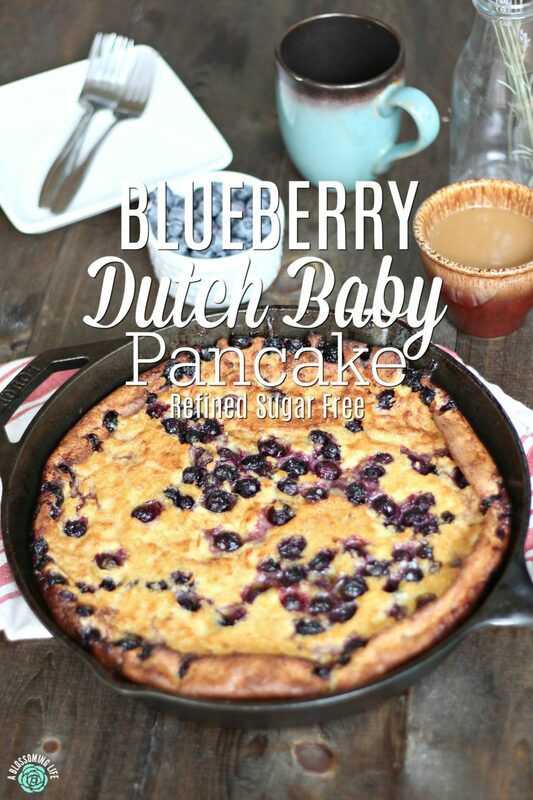 The edges of the Dutch Baby will puff up and become a bit crisp, and the blueberries should be bubbling. Serve with a drizzle of real maple syrup or a touch of powdered sugar. - I love to use my blender for this recipe, but a stand mixer or hand mixer works just as well. - This recipe will make one 9x13 baking dish, or two 10" cast iron frying pans (my method). - Keep in mind that a flour with a heavy or very rough consistency may not provide the same results. Very tasty! I will make it again. However there was a layer of melted butter on top after it finished cooking. Is that normal? Hmm that has never happened to me, and I probably wouldn’t mind if it did haha. I’m glad you liked it though!